Powder alarms are issued when a resort reports a snowfall of at least 20cm in a 24 hour period. Only a few were generated during the week to Wednesday, 28 January, but on Wednesday there were about 20, then on Thursday 30 and today, Friday 29th January there were more than 40 by lunchtime. Kaprun in Austria and Balderschwang in Germany are among the areas reporting a foot (30cm) of new snow overnight. Andermatt and Arolla in Switzerland and Bad Gastein and Lech in Austria have each reported 20cm (8 inches) of new snow. Resorts in the Czech and Slovak Republics have also been reporting fresh snow with Jasna and Skipark Ružomberok each receiving 20cm (8 inches) more. The Vrátna Free Time Zone in Slovakia claims to have had the most snow in Europe in the past seven days, with 60cm (two feet) accumulating. 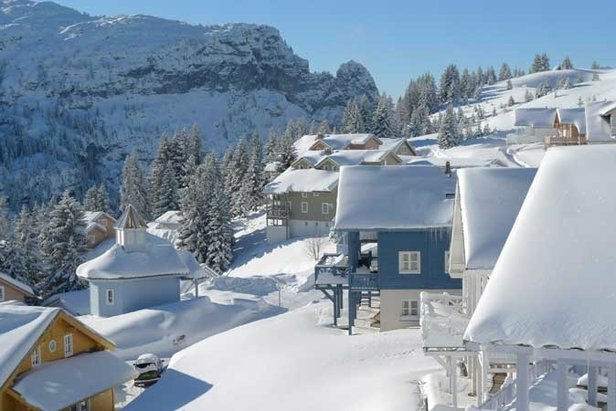 Although the new snow has been concentrated in the Eastern Alps, there has also been a good covering in Scandinavia with resorts in Norway reporting up to 45cm (18 inches) of new snow. Even Belgium's ski areas have had another 10cm (4 inches) which should allow the alpine area's to rejoin the cross-country centres and re-open this weekend. The snow is falling in other areas too although a little less heavily. Many French resorts are reporting 5cm (two inches) of new snow today. Chamonix, which has the world's deepest snow base at 425cm (14 feet) has had to postpone the World Freeride Championship due to be staged there tomorrow, by a day, because of the weather. The opening event of the championships which were due to have been held in Sochi, Russia, last week had already been postponed because of the heavy snow there.